I'm a self confessed lipstick lover but if there was ever a product to replace my first love it would have to be foundation. 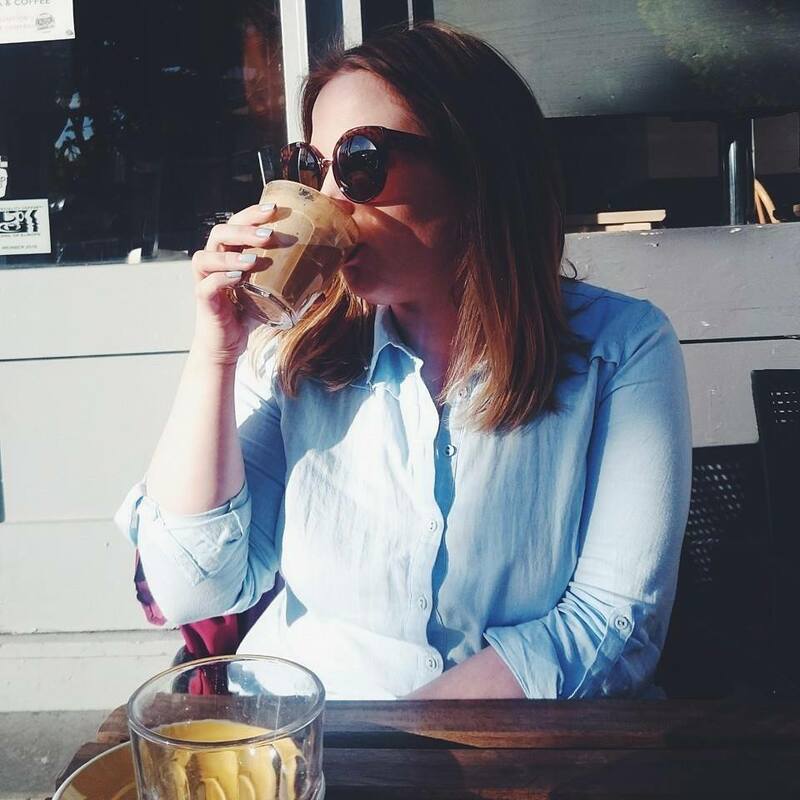 I feel like I've always been on a mission to find something that perfectly applies to my skin to leave a beautiful blank canvas to work my magic on. 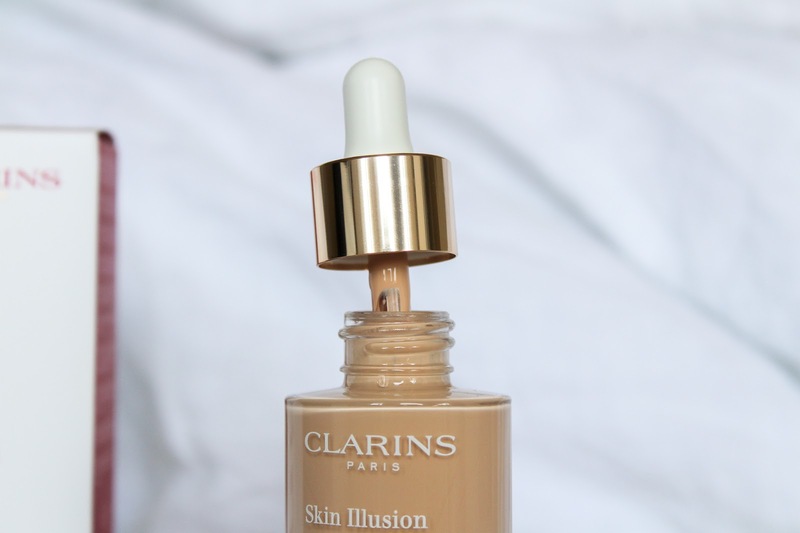 I have a love hate relationship with Clarins Foundations so when the Clarins Skin Illusion Foundation (£30.00) was launched with a new formula I wondered whether this would finally be the one for me and my makeup sense were right, I love the stuff. 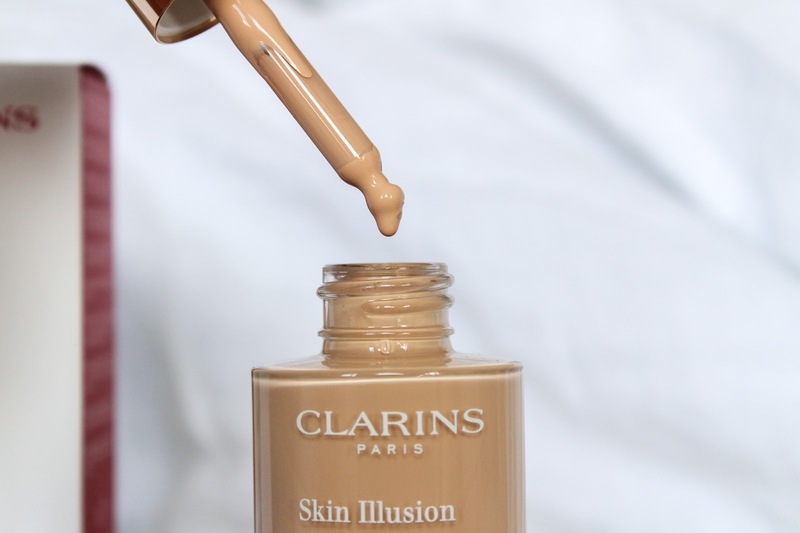 The idea behind the skin illusion foundation is that it gives skin a naturally flawless finish, leaving skin hydrated with a beautiful fresh glow. It contains Red Jania Extract which keeps your complexion clear as well as Leaf of Life to promote hydration across varying skin levels. The Light Optimising Complex is the one though, as it instantly revives radiance so much so that I haven't touched concealer since I've been wearing it which is saying something seeing as I have a teething ten month old. A couple of drops brings skin to life leaving a non greasy and flawless base. There are a real mixed bag of reviews, half love it and half want the old formula back, I'm firmly in the love it camp after using it for the last six weeks daily. I apply a couple of drops with a flat buffing brush and it leaves my skin with a such a beautiful finish. 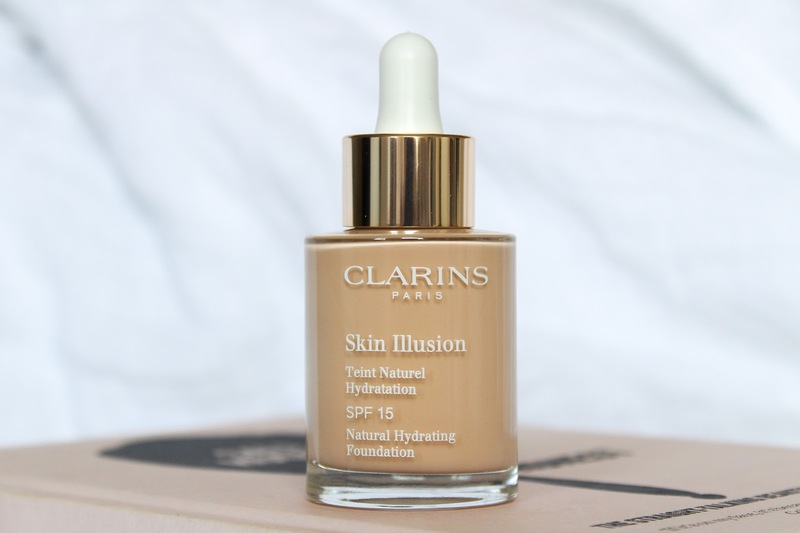 I think I've finally found my Clarins foundation. There are 22 shades available which you can try before you buy and if it's not right you can return within 30 days. I know that would be reassuring to many because at £30.00 a pop, it isn't the cheapest. You can buy online or on counters, I personally prefer the counter experience plus I get to browse more products that might need to come home with me too! Oops. 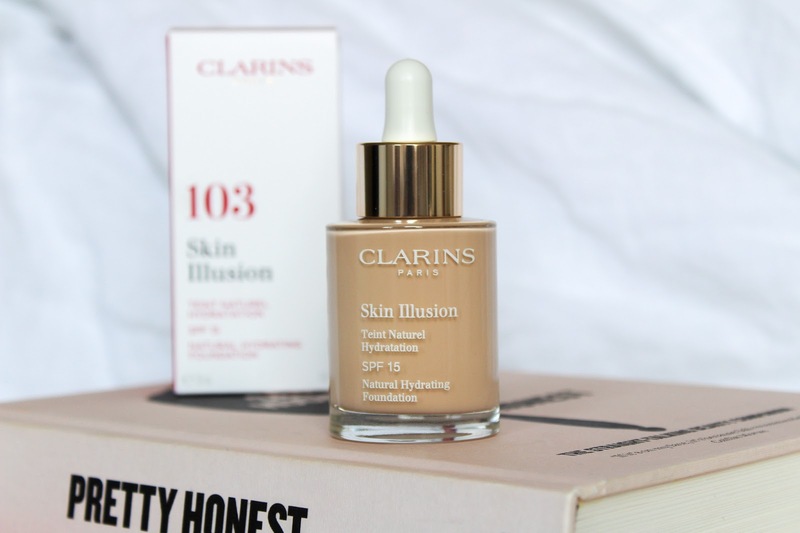 Have you tried the Skin Illusion Foundation? I'd love to know your thoughts. Features press sample & affiliate links - see disclaimer. I can relate to this so much! I loooove lipsticks but foundation definitely comes close I've spent an obscene amount on foundations in the past lol! This one looks gorgeous I must admit, might have to try this when my current runs out. i am defo more of a counter girl like you! i love this foundation and i am seeing it loads on my socials - maybe a little autumn treat to myself! It sounds so good. 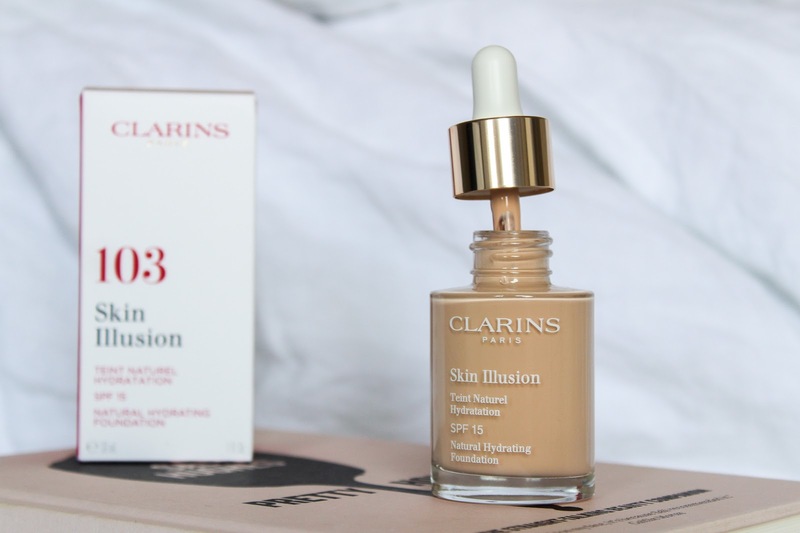 I really don’t use enough Clarins products. Any idea what has changed from the old version, I really liked that one!